“To be honest, I didn’t even know about Aalto University or Finland that much before applying for the Aalto EMBA program. But when I began to look into it, I discovered that Finland is a leading country in education. I knew I’d made the right choice!” says Aalto EMBA participant Vivi Herawati Sim, Finance Manager, PT Thales, Indonesia. 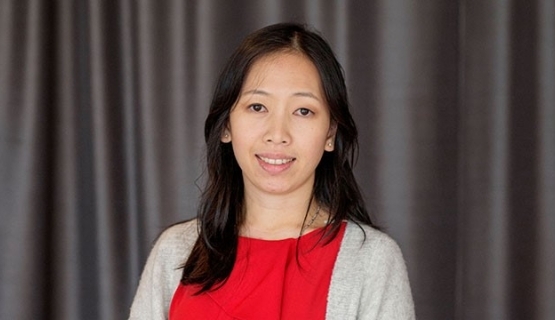 “The Aalto EMBA studies were much more rewarding than I expected”, says Vivi Herawati Sim. She especially appreciates the way teaching and learning are organized at Aalto University Executive Education. The Aalto EMBA program in Jakarta is organized in collaboration with leading Indonesian business institution SBM ITB, School of Business & Management, Institute Technology Bandung. Vivi Herawati Sim’s current title of Finance Manager doesn’t fully describe her wideranging role, as in addition to finances, her responsibilities include HR and legal issues. Aalto EMBA coach Ben Nothnagel receives special mention. Read more about Aalto EMBA.